Those first day of school jitters can sneak up on even the most mature middle school students, let alone new kindergarteners! How you introduce the class to one another in those first moments on that first day of school can play a huge role in the type of community that evolves in your classroom. If you are looking for some new ideas, check out the activities below from some veteran teachers who know all about making the first day special for their students. Getting to Know Your Students Is Fun! Learn New Names With A Fast-Paced Fish Toss! What are some of your favorite first day of school jitter-busters? How do you help your students get to know one another? Leave a comment below and share with us or join the conversation on the Really Good Teachers Forums! Loved all the activities great ideas. thank you. When I taught JHI was in a small school and I had the kids for both 7th and 8th grade. During the first week of 7th grade I’d have the kids fill out a survey with many of their likes and dislikes such as fav movie, TV show, song, outfit, places to go, things to do, book, etc. I didn’t give them back until the last week of school when they were in 8th grade. Prior to this I would roll them up and tie them with a ribbon much like a diploma. The kids had forgotten about the papers (they did them soooo long ago, lol) and they were amazed at the choices that they wrote down 2 years ago. It never failed to bring an over excited “graduating” class to a quiet standstill then came some uproarious laughter. It was a great way to start the year and let me get to know the kids and a fun way to end their JH school experience! Even the kids that had moved into our district later and didn’t have the original paper enjoyed reading about their friends as we shared. I read aloud “How I Spent My Summer Vacation” to my fourth graders and then have them write their own. They can be true if they want, or they can be as crazy and creative as they want to be. This helps ease the embarrassment of students that think they didn’t do anything exciting over the summer. This also gives me a sneak peek at their writing skills! I love the right foot activity as well! On the first day of school after introductions and going over my expectations and asking what students’ expectations are, I look each student in the eye, one at a time (takes a little time), and say, “Well . . . . . I will tell you all right now . . . . .this is the best class in the whole school!” It seems to me that they try to live up to it. In 15 years I’ve forgotten to do it twice and both times, the school year left a little to be desired. Our students will return August 16th. I am ready for them!! I am a bit nervous to start my year. I am the new kid in school too. I have been moved to a new school site, but I am more nervous about starting the school day with my students. I teach first and the activity I came up with is to have the students write their first and last name on white boards and then call on them to tell about themselves and what they did over the short summer break we had (school calendar change). Hope it goes well…wish me luck. I love the “Right Foot” idea. School starts Tuesday for me and I think that I am going to use it. I also like the Fish idea. Thanks for the ideas. I do something similar to the Get to Know you Bags posted by Tara- neat idea by the way! Students bring something from home that represents “a treasure” this can be an item, a photo, an illustration, almost anything. I read a book that is based on finding a treasure. Then I discuss how treasures are really not like jewels, money or items that you can purchase. I have a little box that is decorated with shells that I use as my treasure box and I show the students this without revealing what is inside. After students bring in their item, reveal mine and we all share with each other. 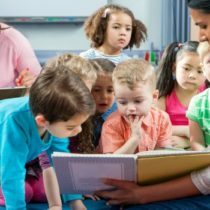 It usually turns in to a great conversation and get to know you activity because you learn what is important to the child quickly. This can be turned into a quick writing activity as well. DANCE IT OUT: Students form a circle with the teacher in the middle. Each student will need to come up with a dance move that has 4 counts. If you as a teacher, do this along with them, it helps them feel safe, at ease, and they think you’re crazy and fun. Starting with the first student, everyone does their 4 count dance together. Each consecutive student creates a new addition to the dance, adding the previous student’s steps before them. In the end, depending on how many students you have, you have a full fledged choreographed class dance. It’s also a memory game since you have to remember what they did again and again and the dance moves each child picks reveals a little about their personality. Surprisingly, my students remembered nearly 75% of the first day’s dance at the end of October at a Halloween party! FIND SOMEONE WHO…: We have a similar activity to the fish game where it’s just a worksheet or a BINGO card and they have to get signatures of other students who qualify for each thing. 3 THINGS: I’ve also had students simply write 3 things about themselves they want to share, and choose one. In the end it’s a contest to see who can rename each student and what they shared. It’s tough for me but it also makes some great connections in knowing my kids. LINE-UP: This is a great moving around activity that’s team building and can lead into a graphing activity. Students must line up in order of their birthdays, without speaking, as quickly as possible. You can do it simply by month or you can do it from the nearest to the first day of school to the most recent. Either way, you can then use this to graph birthday months. You can change categories into shortest to tallest, putting their outfits in rainbow order, or even the size of their shoes! It’s fun and it gets the kids moving. The Fish name game idea can be used with any stuffed items, depending on your class theme. We used Beanie Babies at the beginning of school last year during our Staff Meeting. It was a great way for new teachers to meet others. Then we did it in the classroom, and even though the kids already knew each other, it was great to watch them play! Love the right foot activity. I am definately going to use this. Thanks for this great idea. Get To Know You Bags…this year I am doing something a little different. 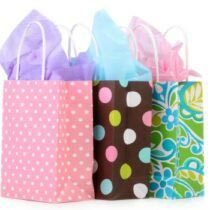 I am sending home a letter and asking my students to bring in a paper bag filled with a few items that describe who they are and what they like or like to do (pictures, toys, drawings, etc). On the first day of school the students and myself will share what is in their bag. This allows everyone to get a look at what they have in common with their fellow classmates and what makes each person special. I have my kindergarners sit on the perimeter of the carpet and the they say their name and something they did over the summer! I would repeat each childs name that already went so that everyone could remember their classmates name! They have a great time and then I say things that were repeated and have everyone who did that raise their hand! They see thY they have something in common with classmates! When I taught third grade, they would sit in a circle and do a clap clap slap pattern and say their name and then have to say everyone that came before them! I was always the last person and I would go around the circle. The child next to me and the one before them always had the hardest time but we learned everyones name first!